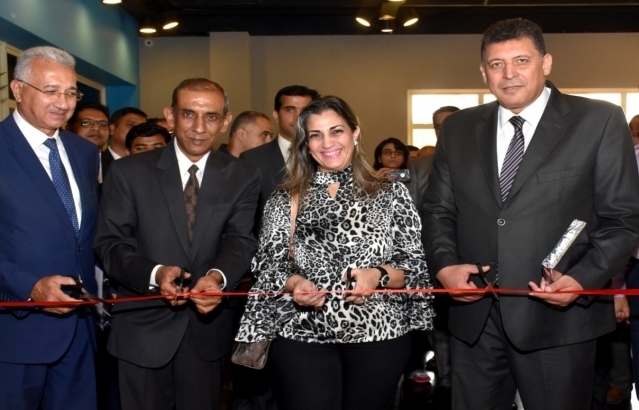 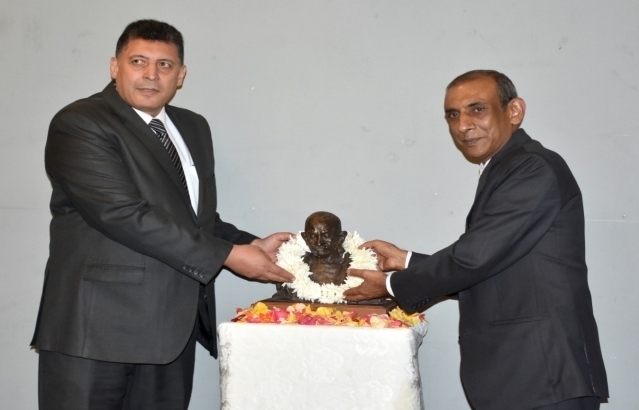 Ambassador Rahul Kulshreshth and Egyptian Assistant Foreign Minister for Asian Affairs, H.E. 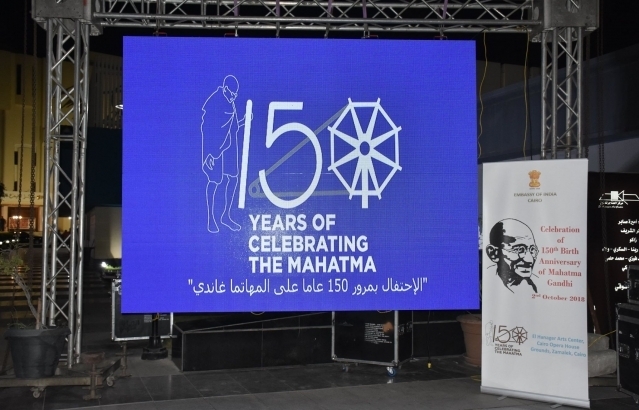 Ambassador Khaled Sarwat release the commemorative stamps issued by Department of Posts, Government of India on the occasion of 150th Birth Anniversary of Mahatma Gandhi. 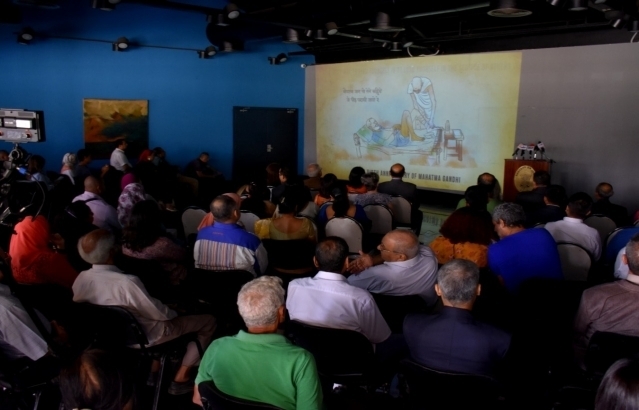 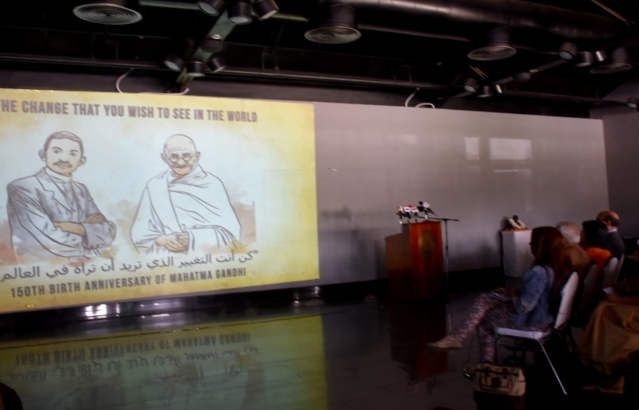 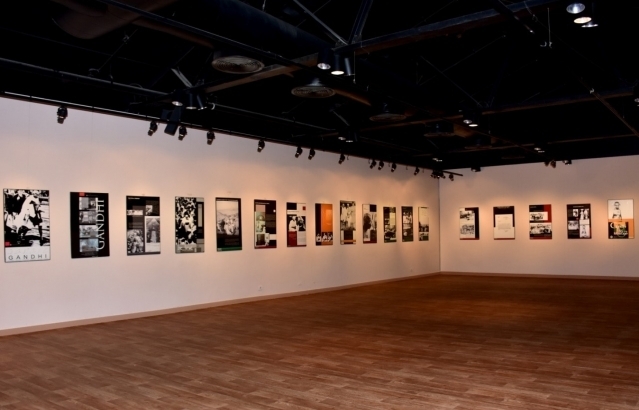 Inauguration the photo exhibition on the life of Mahatma Gandhi.